1. The Doctor is in. Roy is back to get the party started! 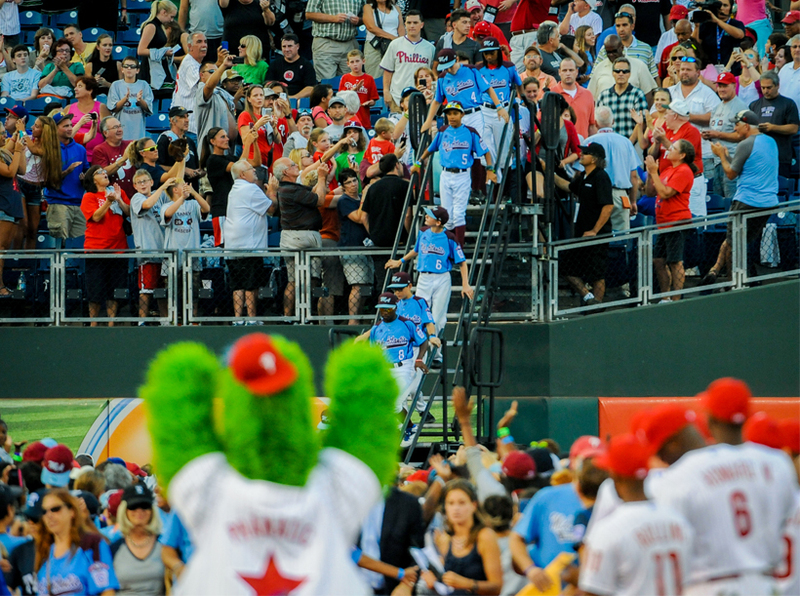 Penguins and fans alike are elated at Doc Halladay’s return to Citizens Bank Park. And so is he! 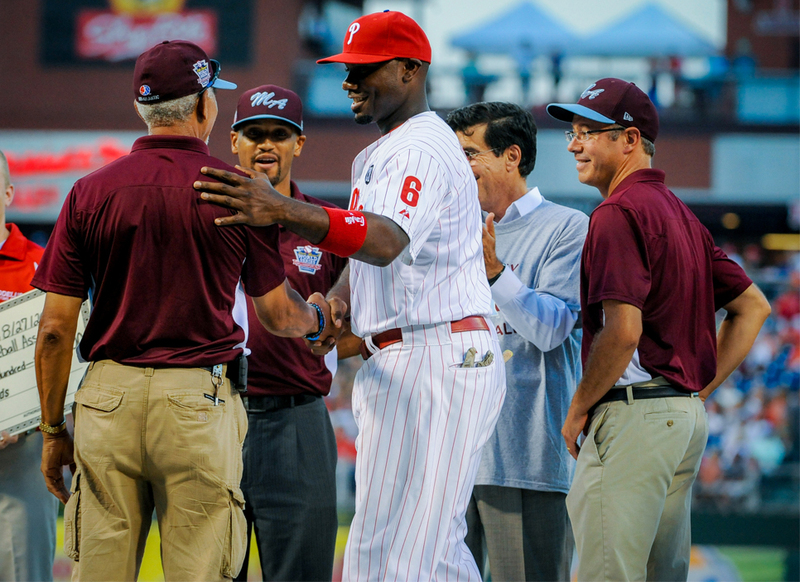 To lead off Alumni Weekend, Roy Halladay will be honored during pregame on-field and throw out the ceremonial first pitch on Friday, August 8th. Be in your seats by 6:30pm to make sure you don’t miss it! 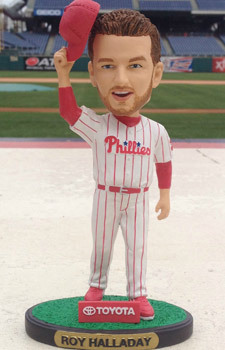 Fans attending the game on Friday will get to take Bobble Roy home (adorable, we know) with them as we celebrate the man, the myth, the legend…that is Roy Halladay. SIDE NOTE: Important side note, actually. Roy will also do a Twitter chat on Friday, starting at 11:30am…send us your questions using #DocChat and get some answers. 2. 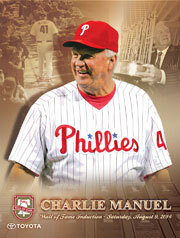 Charlie Manuel WOF Induction. 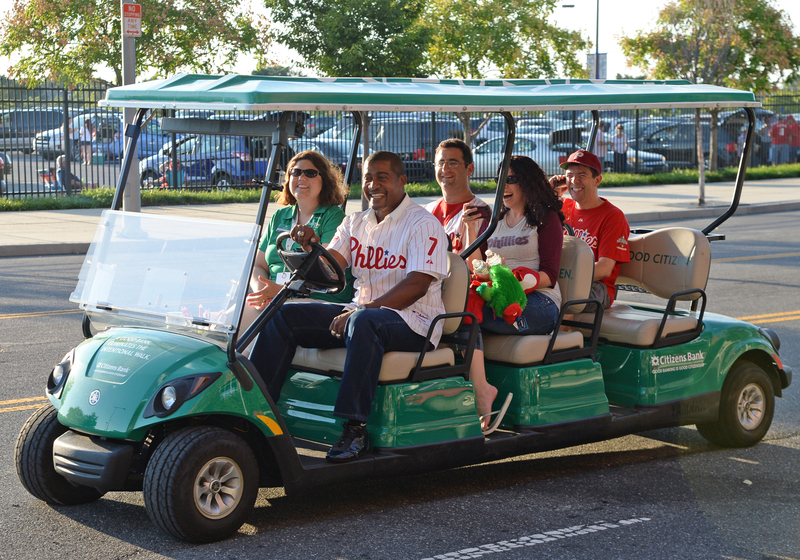 Saturday, August 9 brings the always popular Phillies Toyota Wall of Fame Night. 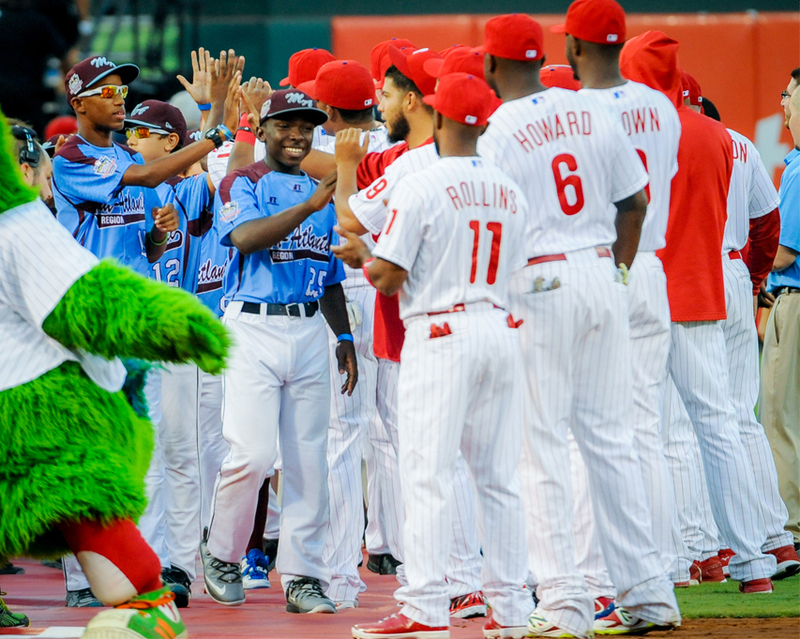 Be in your seats by 6:50pm if you want to check out the ceremony taking place on-field to honor fan-favorite Charlie Manuel. 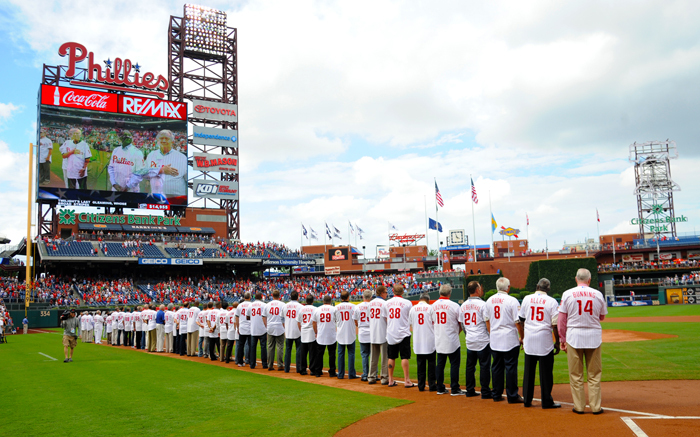 Charlie left an everlasting mark on Phillies history. 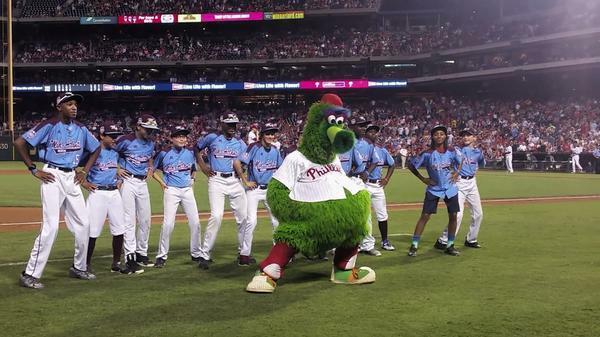 Because of that, he’ll receive our highest honor by being inducted into the Phillies Wall of Fame. 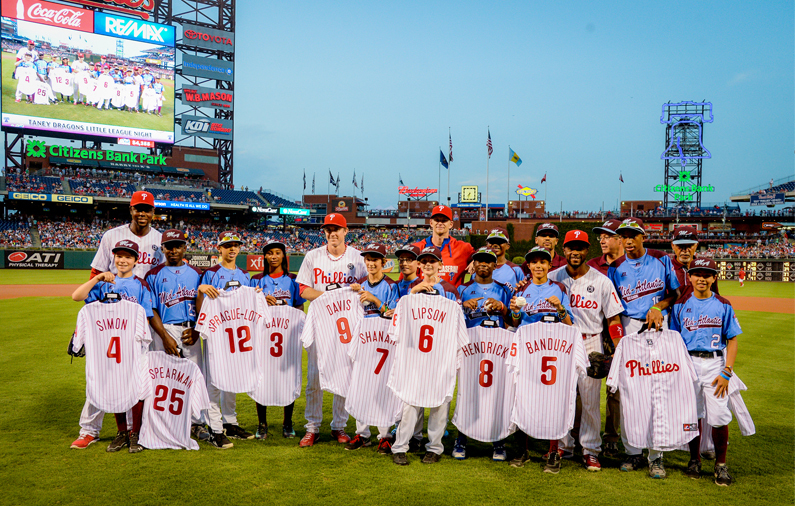 Current and former Phillies players who were part of Charlie’s managerial career will participate in the ceremony to honor their former skipper, including Mr. Roy Halladay. Want more? Who doesn’t! Our friends at Toyota are giving each and every fan coming to the game a commemorative print of Manuel. Check it out in all its glory just north. (Frame-able stuff here people!). The boys are back in town…reunited and it feels so good…you get it. You know who loves this weekend more than you? Our alumni. Seriously, they love it. 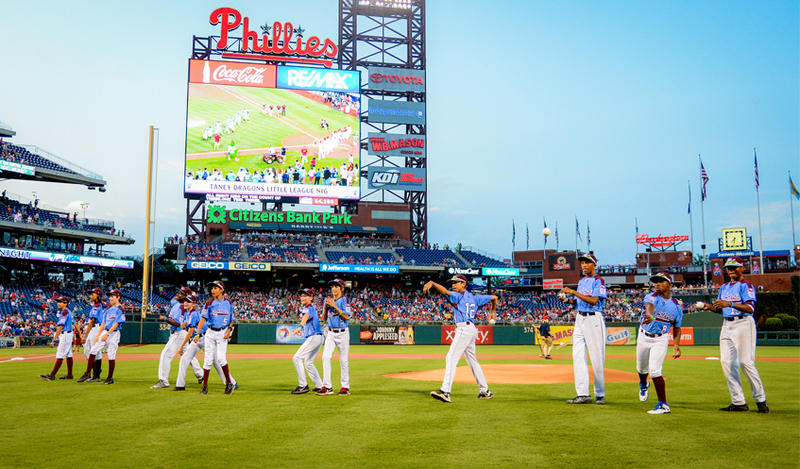 For Toyota Alumni Day on Sunday, August 10th, we’re bringing back over 40 former Phils for pregame intros prior to the current Fightin’s taking on the Mets that day. Why should you be here? Excellent question and glad you asked. You’ll have the opportunity to see your ultimate favs – the big guys – in person. 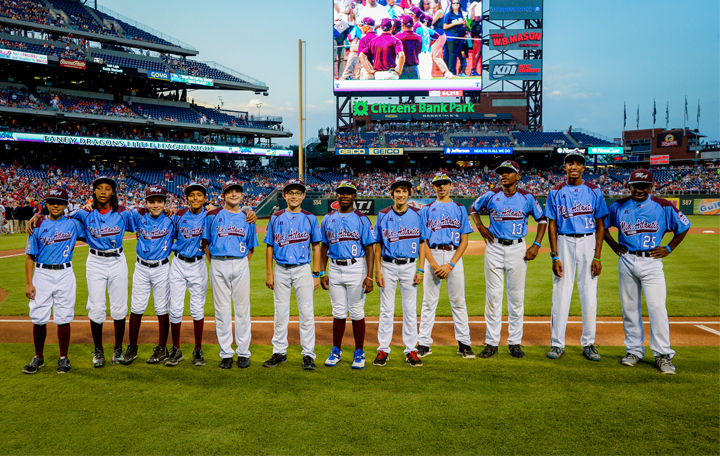 We’re talking Wall of Famers, Hall of Famers, members of the 1983 and 1993 National League Champion teams AND local alumni. Mike Schmidt? Yeah, he’ll be here too. 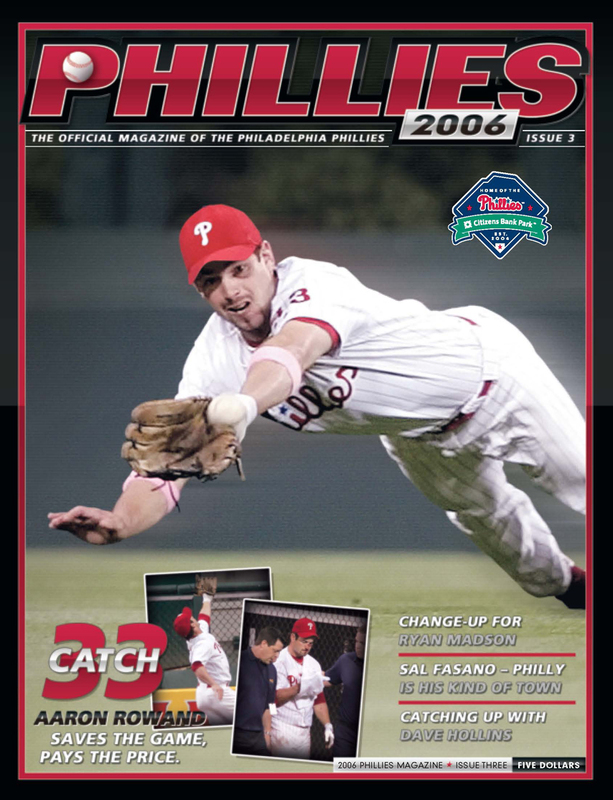 Also, former Phillie and amazing center fielder Aaron Rowand will be on-hand as the celebrations of ten years of baseball at Citizens Bank Park continues. 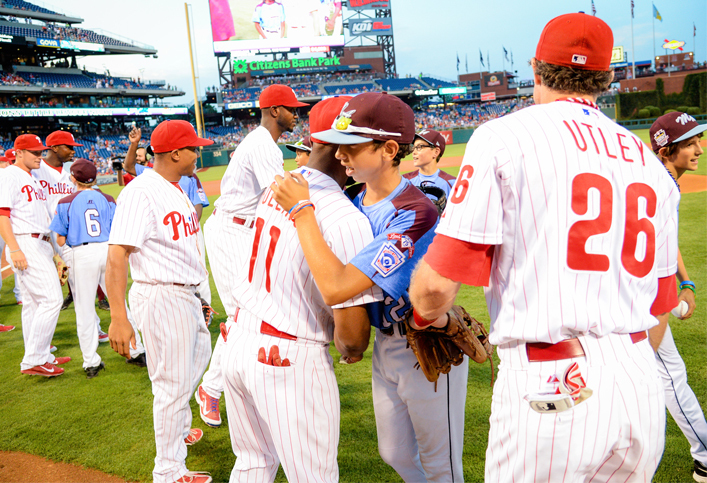 He’ll throw the first pitch on Monday too. SIDE NOTE: Be on the lookout for #AaronChat details coming soon! Giveaway Goodness: Fans will also receive a Pride of the Phillies print, featuring the one and only JRoll, compliments of Citizens Bank. 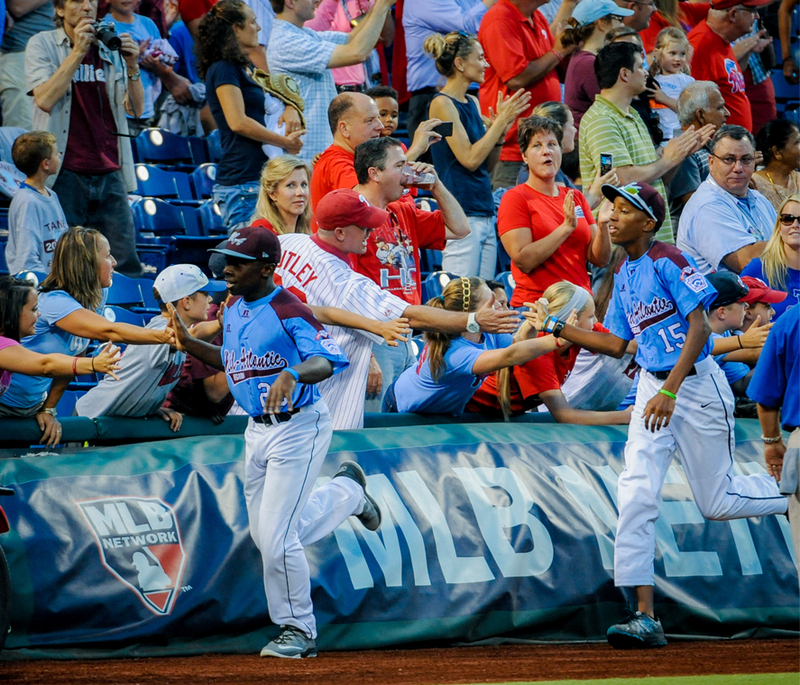 BBQ ribs, baseball and summer time…all delightful and delicious. 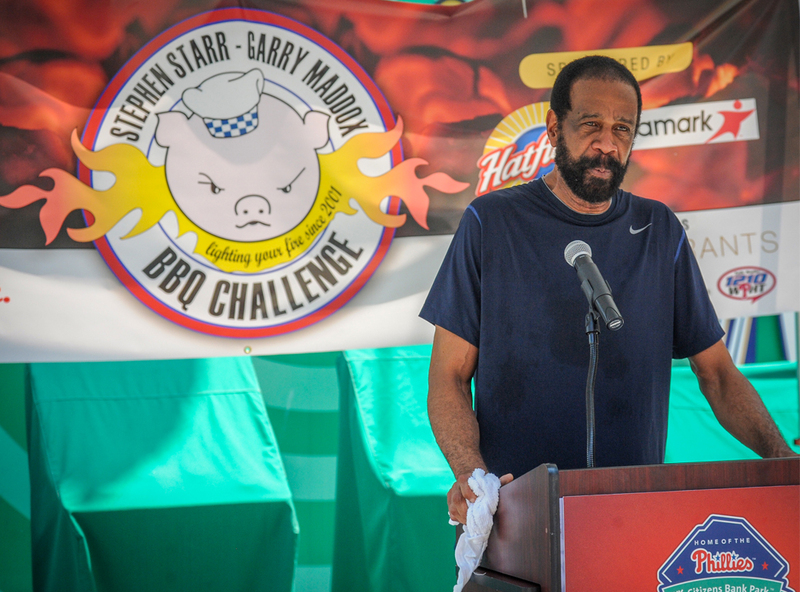 The annual Stephen Starr-Garry Maddox Barbecue Challenge will get grilling (see what we did there?) on Saturday, August 9th from 4-7pm along Citizens Bank Way. 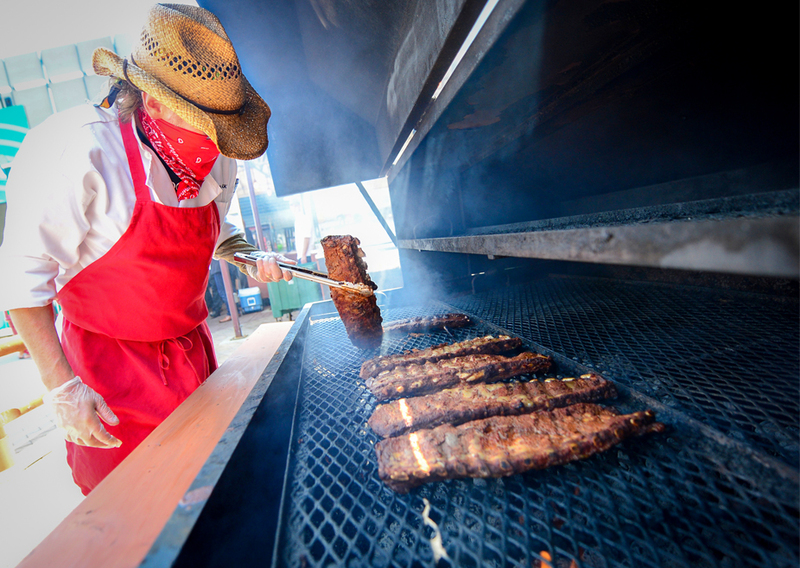 Break out the stretch pants and bring your appetite because things get real with copious amounts of grilled meats to taste. For more info, click here. So come one, come all…#LegendsReturn beginning next Friday! Grab your tickets here!